If you’re a fan of impressionism, you don’t want to miss a new exhibition at the Art Galley of Ontario. Impressionism in the Age of Industry: Monet, Pissarro and more showcases masterpieces from around the world, including more than 100 paintings, drawings, sculptures, prints, photographs and films from the period. 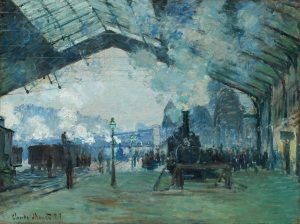 The show explores how French Impressionist artists and their contemporaries — including Edgar Degas, Claude Monet, Mary Cassatt and James Tissot, who were famous for their lush landscapes and sea vistas, and were inspired to capture the spirit of the industrial age of Paris in the 1870s. Wine lovers are in for a treat.The first annual Corks & Forks — Kingston’s International Wine Festival is taking place from April 12 to 14 at various locations in the Limestone City. The weekend offers a full schedule of wine and food events, panel tastings and seminars. Highlights include the Discover the Wine World International Tasting Hall on Friday and Saturday evenings, as well as the Vintner’s Brunch. The brunch, a grand finale event, will treat ticket holders to a meal featuring dishes expertly paired with wines showcased during the festival. There will also be a People’s Choice Award for the top-voted food and wine pairing. Attendees will have the opportunity to meet winemakers and winery owners from across Canada and around the world. 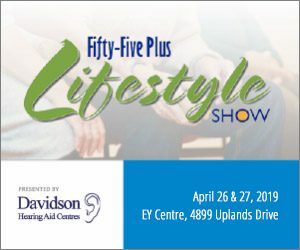 “This festival promises to be both educational and entertaining, appealing to the connoisseur as well as the curious,” notes Donna Gillespie, CEO of the Kingston Economic Development Corporation. “There is an incredible food and wine scene in Kingston,” she adds. See savvycompany.ca for details and tickets. Experience the multi-sensory pleasures of the Ottawa Art Gallery. This new downtown arts space at 50 Mackenzie King Bridge is well worth a trip to Canada’s capital city. A dazzling modern cube spanning six floors, it offers a captivating and inclusive cultural experience you’ll really enjoy. The OAG is at 50 Mackenzie King Bridge. Permanent offerings and exhibitions here are a heady, eclectic mix of thought-provoking works and themes that challenge you to consider topics from fresh perspectives. 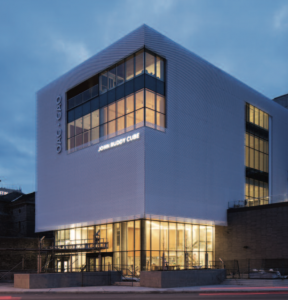 The OAG is home to everything from the Firestone Collection of Canadian Art (including works by the Group of Seven) to a noteworthy dining spot, Jackson. Named, fittingly, after A.Y. Jackson, it features the culinary creativity of Caroline Gosselin and John Leung, and offers menus inspired by OAG exhibitions.